In this Byte of information, you are going to check out the top five best cameras for photography in 2018-2019. I made this list based on my opinion and I them on the list based on their price, quality, and value. At number one we have the Sony Alpha A9, the Sony Alpha A9 isn’t the most affordable camera that you can find on the market. But if we take into consideration that it is full frame mirror lists and that it integrates a full frame stacked CMOS sensor than the price is fairly reasonable. 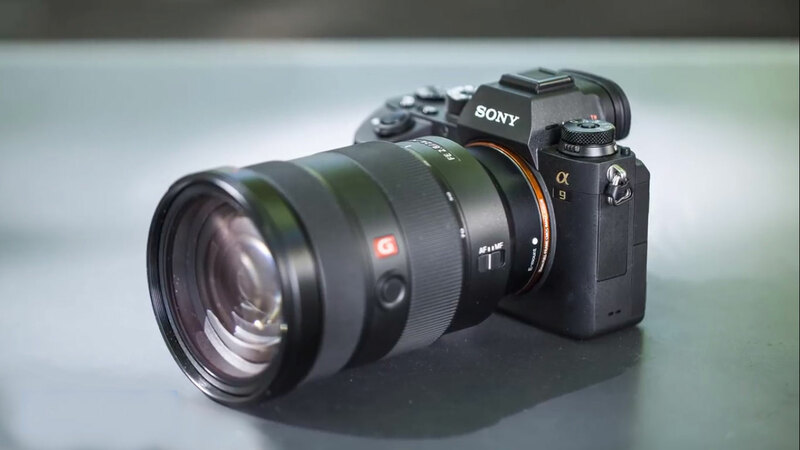 From a design perspective, this camera features a robust magnesium alloy body that is resistant to dust and moisture with the intention to equip you with endless shooting possibilities, regardless of the weather conditions, the Sony Alpha A9 holds plenty of controls which are positioned across the entire body and you can reach them easily for doing adjustments as you’re capturing photos since you will use most of them. The best, in my opinion, is the new AF ON button as well as the AF multi-select or joystick which is positioned at the camera. In addition, the front and rear dials are lockable, which means that they will prevent you from making unintentional changes during use. At the back, you can instantly see the 3.7 million led viewfinder that offers a resolution of 1280 X 960 pixels. And interestingly, it releases EDF images in 128 FPS so you can see everything. slightly below the viewfinder there is the 3.0-inch tilt angle touch screen which is unbelievably sharp. In terms of connectivity, there are two memory card slots and Ethernet port for FTP (file transfer protocol), 3.5-millimeter audio jacks, a micro HDMI and micro USB which is more than enough. But now let’s talk about the performance. This offers a continuous shooting rate of 20 FPS which expands the possibilities. So regardless if you want to capture fast moving or fixed objects, they will be captured without any blur. Another great thing about this camera is its vibration free and anti-distortion shutter that can achieve speeds as quick as which is insanely good. In terms of video quality, you can shoot 4k videos at 24 or 30 FPS with 60 or 100 Mbps bit rates full HD videos at 120 FPS. So I think that this camera is a true all-rounder to conclude the Sony A nine is a top option for every professional photographer who wants to invest in a quality camera. 20.9-megapixel, DX format CMOS sensor that will let you kept your mouth watering photos and videos like you’ve never seen before. From a design perspective, the Nikon D 500 is finished in black and the only place where it differs is the presence of a red accent on its right corner. There are numerous control buttons that are located above the red accent, as well as on the left and the right side of the 3.2 inches 2539 k dot tilting LCD touchscreen. All of them are strategically positioned and easy to access so you can capture photos and do various adjustments without any fuss. 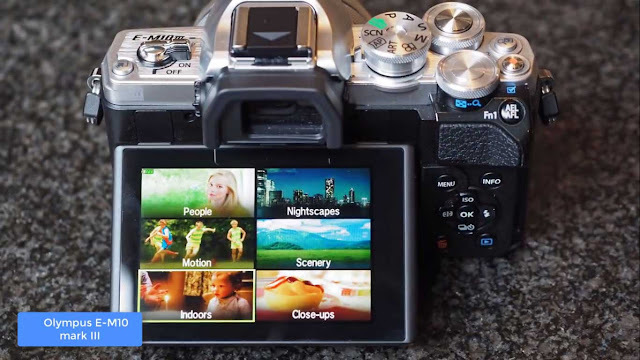 Above the touchscreen, there is an optical viewfinder that is surrounded by a rubber with the intention to minimize the glare to the minimum. In addition, the viewfinder offers 100% field of view as well so you will be glad having it. The connectivity includes a dedicated remote port, a micro USB 3.0 port, one mini HDMI connector, a micro USB 3.0 port, dual memory card slots, and headphone and microphone jacks. I’d also want to inform you that there is Bluetooth NFC and Wi-Fi enabled. So you can connect quickly to any compatible smart device. Now let’s talk about the features. 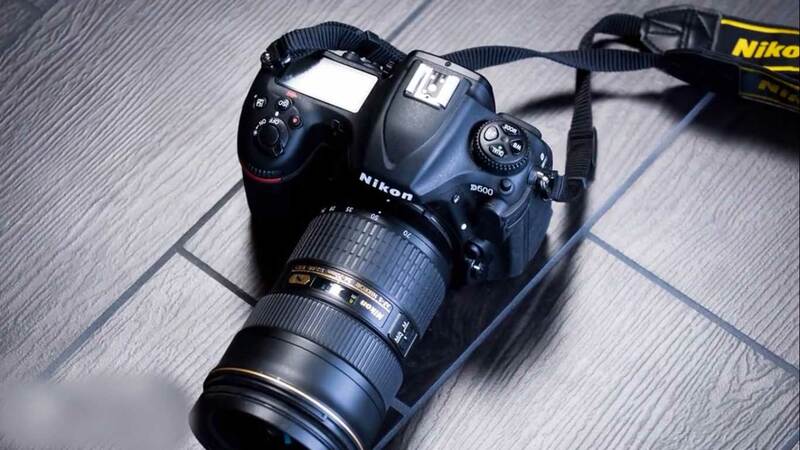 The Nikon D 500 is fast-paced due to its processor and the sensor that we’ve mentioned previously, so you can capture images at 10 FPS on the other side. If you seek to capture fast-moving objects such as animal or birds just taken advantage of its AFC mode and you would never miss anything for videos. You can record 4k you HD videos at 30 fps and as you can see this camera is good for both video and photo recording. Moreover, the native ISO rate of 51,200 will guarantee you quality photos and videos under different lighting conditions, so everything you capture will have its natural look. Overall you should definitely consider the Nikon D500 as your next purchase because it is exceptionally powerful and it worth’s all the money. Next, at number three we have the Canon EOS 6D Mark II, The Canon EOS 6D Mark II is an entry-level DSLR camera that combines a dust and water-resistant body with a powerful sensor which makes it ideal for every photographer who wants to shoot in normal and extreme conditions. From a design perspective, this Mark II feature of black aluminum alloy and polycarbonate resin construction and is capable to withstand different weather conditions with the intention to equip you with limitless shooting possibilities. On the left corner of the body, there is a mode dial and AF button, while at the top there is an AF button drive mode ISO and metering mode button and ahead of them. At the back next to the very angle LCD touch screen, there is a delete button, lock button, zoom, button and two more buttons which surround the circular button with a set label embedded at the Center for your information. The touchscreen has 1.4 million dots, which means that regardless if you want to record videos under direct sunlight, you won’t be bothered by any reflections. Slightly above the touch screen, there is an optical viewfinder with 45 point outcross type AF system which offers a distraction-free view to your desired objects. In addition, the physical connections consist of a mini HDMI a mini USB remote control port and the mic input which is great. But now let’s talk about the performance, the Canon EOS 6D Mark II is powered by a DI g IC seven image processor and a 26.2-megapixel full-frame CMOS sensor that will produce a spectacular photo quality regardless if you want to capture a moving or fixed objects. This model also uses dual pixel CMOS autofocus with phase detection. So you can record Full HD 60 videos in different lighting situations without any problem since the camera will maintain its optimal autofocus to the highest level. I’d like to inform you that this camera has a built-in GPS, Bluetooth, NFC and Wi-Fi support for communication with smart devices. So I have to admit that this camera is full of features. 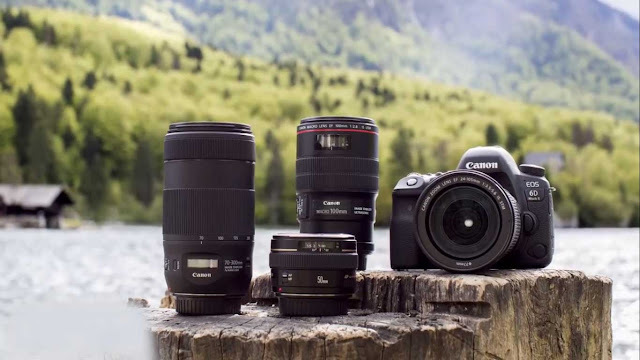 To conclude the Canon EOS 6D Mark II is worthy of considering to buy as an option. 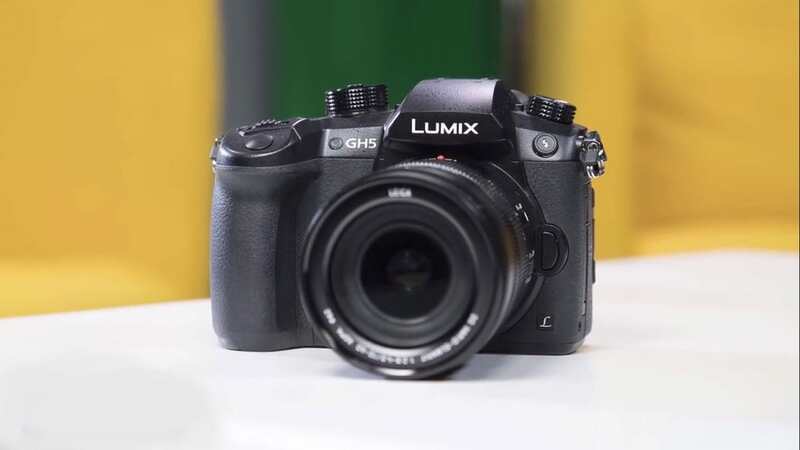 At number four we have the Panasonic LUMIX GH5, the Panasonic LUMIX GH5 is one of the best and most sold muralist cameras in the market. Because it performs equally well with recording videos and capturing photos. From a design perspective, the LUMIX GH5 has a slim matte black body that is covered with a textured rubber finish. So I have to admit that it looks elegant without any doubt. There are many physical controls that are present around the top and back. There is a dedicated drive dial positioned at the far left on the top while in the right there is a mode dial that offers plenty of adjustable options. Below the viewfinder, there is a three-inch LCD screen which is exceptionally sharp. And what’s interesting is that it has a very angle design so you can swing it out to the side which is pretty helpful for video recordings. The connectivity consists of a 3.5 millimeters audio port to SD card slots, full size, HDMI and the USB-C, so you will be more than covered. Now let’s talk about the features, this camera sports a 20.3 megapixel Micro Four Thirds image sensor with no low pass filter which means that it is highly responsive so you can capture breathtaking images without any problem. Another great thing about this camera is the five access dual is 2.0 which reduces the blur and the lens shakes to the minimum. So all of your photos and videos will be razor sharp, except taking photos you can record videos in the 6K resolution that up to 30 fps and 4k videos with 60 FPS which I particularly like. I’d like to inform you that this camera is Wi-Fi and Bluetooth enabled so you can have a quick data transfer. Overall the LUMIX GH five is a must for every photo professional, who is looking for a camera that offers a great value for its price tag. At number five we have the Olympus E-M10 Mark III, the Olympus E-M10 Mark III would be a really good option for every photographer who is looking for a premium camera that comes at an affordable price. This model features a compact, lightweight body that is finished in a retro-chic, two-tone, silver and black finish that looks wonderful. Regardless of the perspective, you see it. At the front, there is a deep handgrip while at the center you will immediately notice it’s 14 to 42 millimeters easy that will ensure quality photo capture. At the top, there are numerous buttons, including a shortcut button programmable fn to record button for movies, as well as a combined power switch and to flash release. At the back, there is an fn one button additional four buttons such as delete info menu and play that flank a four-way controller. Also at the back, there is a three-inch tilting touchscreen that sits below the electronic viewfinder that gives a real-time preview of the object you intend to shot. The connectivity includes one micro USB port one micro HDMI connector, which is good for the price. Let’s talk about the performance, this model packs of five x image stabilization, a 16-megapixel live ammo sensor and a triple eight image processor that will help you capture well-defined photos without any blur, no matter of how fast they’re moving. If you want to record videos, then I’d like to inform you that this camera can capture Ultra HD 4k videos with 25 and 30 FPS which is amazing. Moreover, the Olympus E-M10 Mark III has 15 built-in art filters as well, so you will be equipped with versatile options that will surely increase your user experience to a whole new level. After your photo shooting sessions, you can take an advantage of the Olympus image Sharp app and transfer them safely without worrying about anything. To conclude I’d recommend you consider this camera as your next purchase because the Olympus is capable enough to deliver accurate and vibrant photos.